CEBU, Philippines (CNS) — The 51st International Eucharistic Congress kicked off with Pope Francis’ representative, Cardinal Charles Bo of Yangon, Myanmar, declaring war on poverty. “Soon it will be all right. 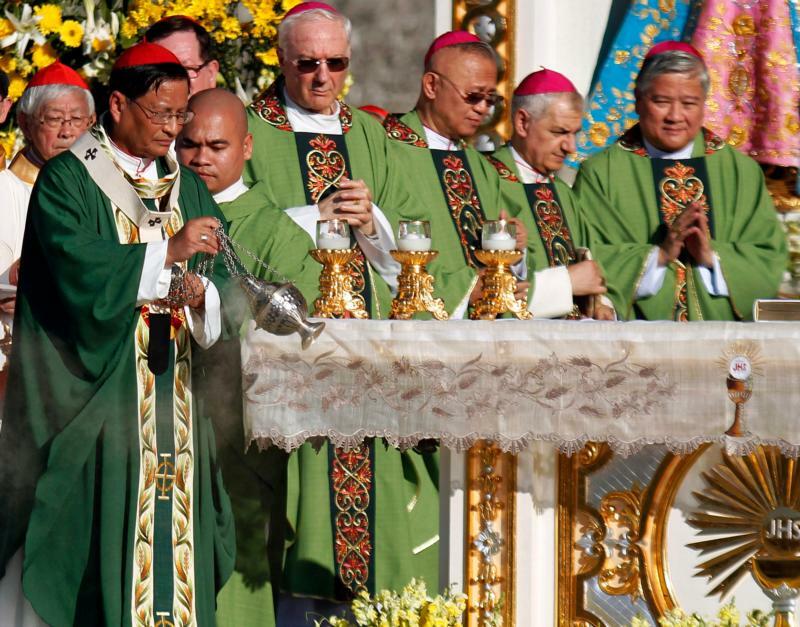 The moon is too hot in Cebu,” the cardinal quipped, as the sun was just minutes from setting. For a couple of hours, until the seats were opened up to the public, Lermalyn Otida, an office worker from Cebu, stood outside of the fenced-off area that enclosed seating for delegates. He called Filipinos the “beacon of Catholicism” to the world, saying that having a Philippine presence in any country means there will be Catholicism. Close to 10 million Filipinos live and work outside the Philippines, with most practicing their Catholic faith, often in countries that do not have majority Christian populations. Cardinal Bo remarked on the Philippine church and its people being “the only church in the world that welcomed” priests from his country, which he said was a “suffering church” for more than five decades under military rule. Cardinal Bo said the Eucharist strips the faithful of their social status, as people of all walks of life take Communion. The cardinal emphasized that the mystery of the Eucharist is twofold: presence and mission. The Eucharist is the true presence of Jesus, while it was the mission of the faithful to share that presence with others. “From eucharistic celebration to eucharistic commitment: mission,” he said. Cardinal Bo said being devoted to eucharistic adoration was good and so was being devoted to Santo Nino, the child Jesus, a strong devotion in Cebu. Once the sun had fully set and Mass ended, fireworks exploded in one section of the sky above the plaza. “He said that Filipinos have really strong faith in God by what we witness today,” she told CNS. Cebu Archbishop Jose Palma welcomed Cardinal Bo at the start of the opening Mass with a reference to the Congress’ theme.